Your windows are multi-functional. These protect your home from bad weather conditions, facilitate ventilation, let natural light in, provide great views, and contribute to energy efficiency. Your windows parts and window style have a large impact on your windows’ performance. Kroll Construction gives an overview on our windows’ glass and frame, and the various window styles we offer. We’ve partnered with Alside windows to provide the best quality replacement windows in Michigan today. Their ClimaTech insulated glass package is part of what makes their windows great. This package combines multi-layered low-emissivity glass and argon gas to keep you warm in winter and cool in summer. The window glass reflects heat back to the source. 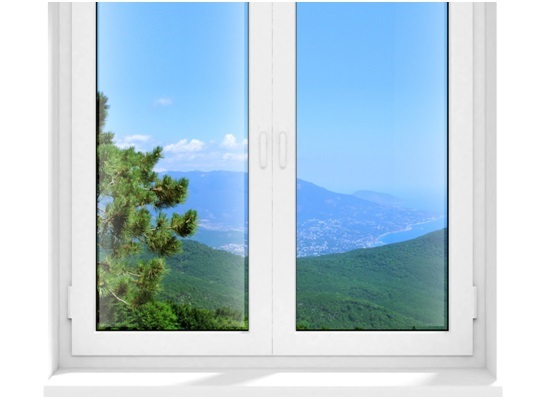 Alside’s specially designed spacer systems prevent the insulating argon gas from leaking, increasing the window’s overall thermal performance. Alside makes their replacement window frames from high-quality vinyl. Vinyl frames require practically no maintenance, and you don’t need to sand or paint them. These resist scratches, dents, dirt, and mold, and the exterior color won’t fade under sunlight. Go for vinyl windows in Detroit if you want to save time taking care of your windows. Additionally, different Alside window product lines feature special construction techniques to enhance their windows. For instance, their Sheffield® fusion-welded vinyl windows have a multi-chamber design that traps dead air to create an effective insulating barrier. These also have heavy-duty SteelForce™ reinforcement within the sashes at the meeting rails to create extra protection. On the other hand, Mezzo® vinyl windows have the EdgeForce™ low-profile frame for an expanded glass area. Their CoreFx™ composite reinforcement strengthens the meeting rails and reduces energy transfer. Kroll Construction offers double-hungs, casements, bay and bow windows, sliders, picture windows, garden windows, and decorative windows. Different window styles have their distinct features, so choose the one that best fits your needs. For example, picture windows are energy-efficient, while casements provide the best airflow. Sliders are excellent for areas where a protruding window will get in the way, while bay and bow windows create a protrusion large enough to expand a room. Our windows will help save you money, protect your home from the weather, and improve its curb appeal. If your windows are old and need constant repair, then it’s time to call Kroll Construction for replacement windows. We’ve been helping our customers since 1961, and we have the expertise and experience needed to tackle any sort of window replacement project on any home. Give us a call to learn more about our windows or to schedule a free in-home consultation.